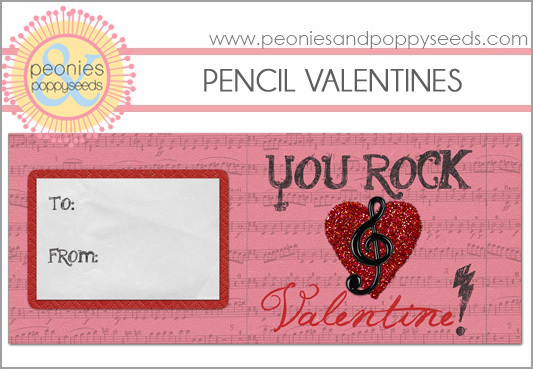 Use this printable with Pop Rocks candies. 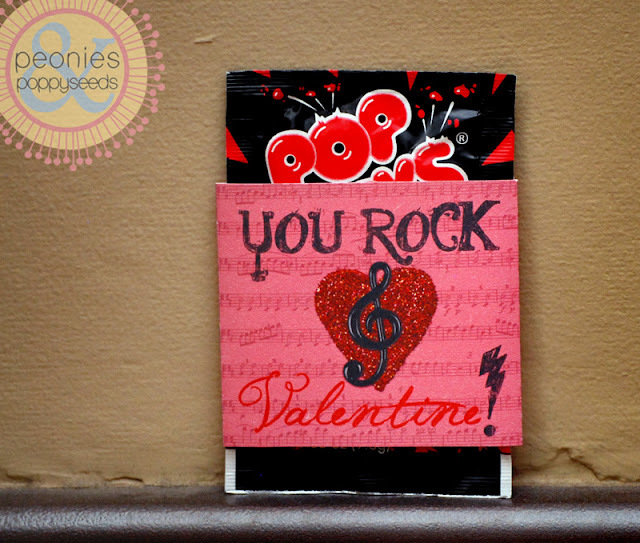 (I love Pop Rocks, they're so pop-i-licious.) They're really easy to make, and you can find the candy pretty cheap. 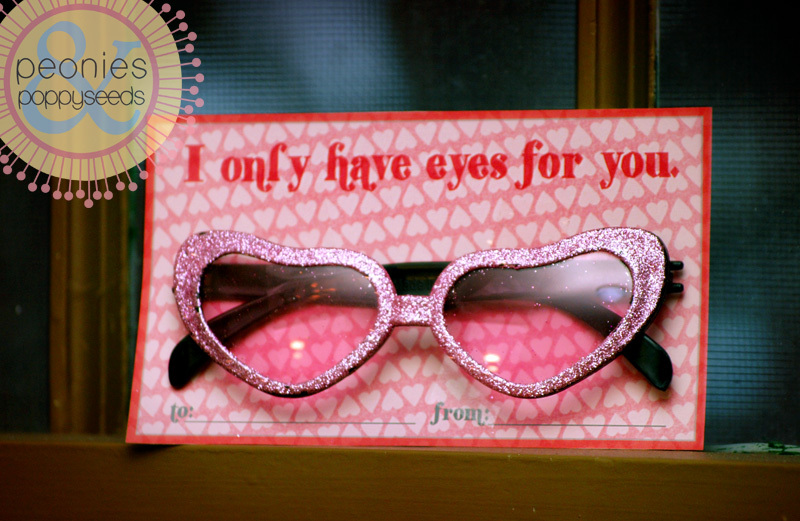 And even though this valentine is mostly red and pink, it's excellent for boys to give to their friends . 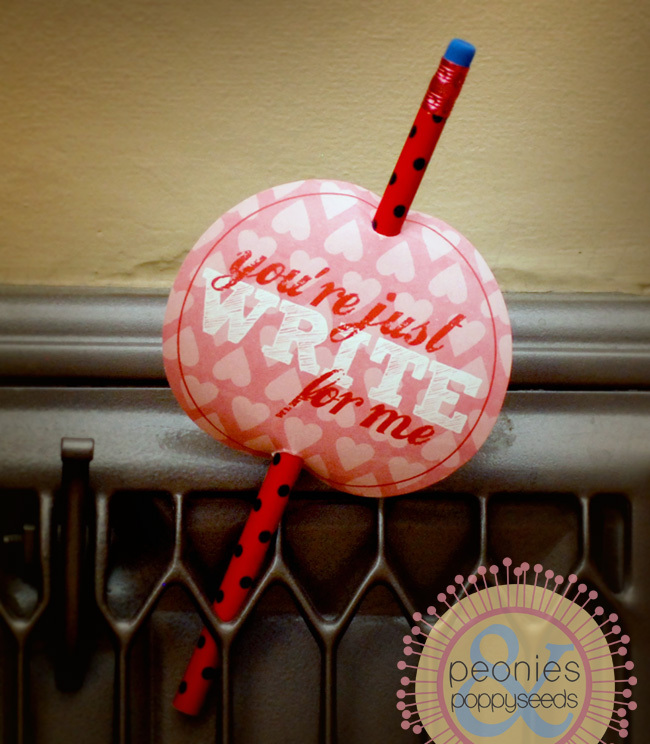 You can make something even more cost friendly with pencils! 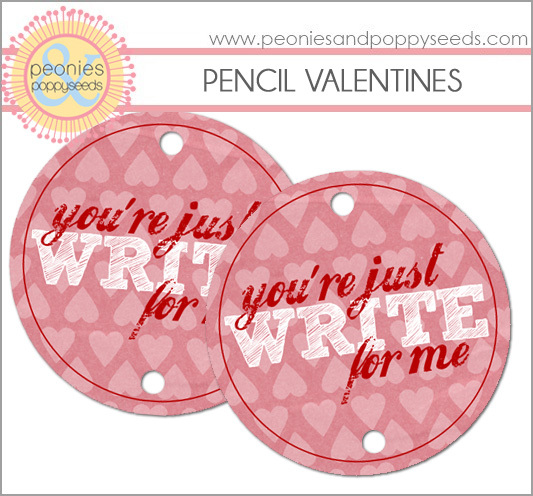 Just buy a package of pencils, print and cut the circles and slide - viola, cheap Valentine for a classroom.